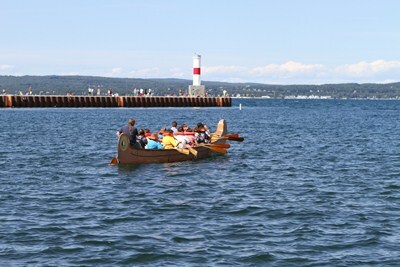 Fun for the family with a variety of events on Petoskey's waterfront during Festival on the Bay. The Festival on the Bay includes great live music, lots of fun kid's activities, great food, competitive sporting events, Chalk & Chocolate Festival, Youth Fishing Derby, SAFE Teen Dance & more! An arts and crafts show will be held on Saturday in Pennsylvania Park in downtown Petoskey. 6-10pm $5 Fee, Live Music, Entertainment Tent, Ed White Ballfield. 12pm-12am FREE Shuttle from North Central Michigan College to Bayfront Park from Johnson Buses, Inc.